Artists will be showcasing their work on the IAHS grounds on Saturday during the 11th Annual Home Tour. 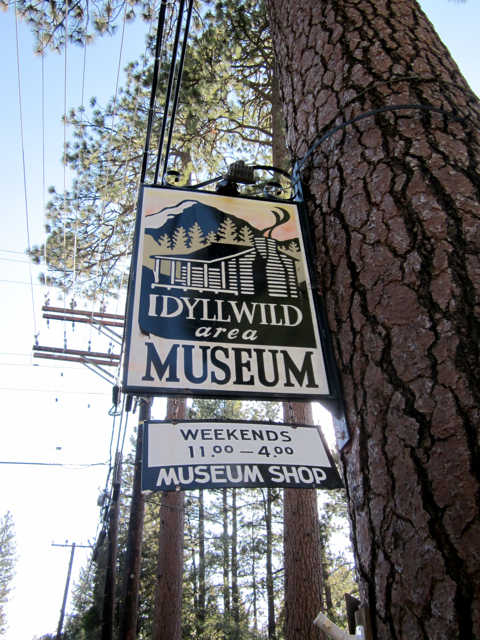 “I think it’s the best mix of houses we’ve had yet,” said Bob Smith, board member, Idyllwild Area Historical Society (IAHS). 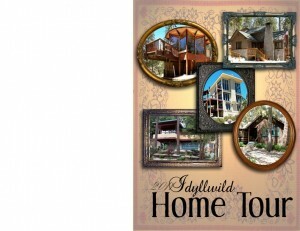 He was speaking about the 11th Annual Idyllwild Home Tour that runs this Saturday, Sept. 17, from 10 a.m. to 4 p.m. There are five homes on this latest tour, including three modern homes and two cabins built in the 1930s. 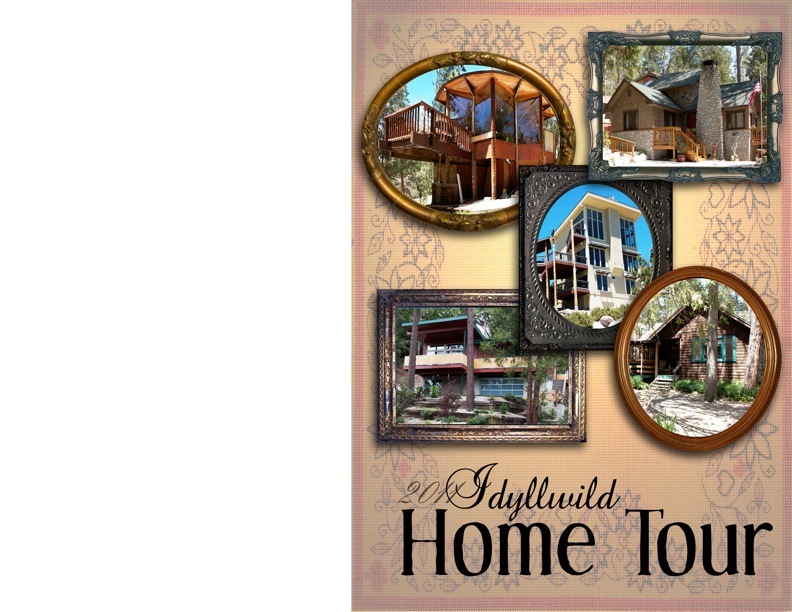 The home tour is a self-guided one, in which attendees pick up maps when they purchase their tickets ($20 each) in the center of Idyllwild by the tree monument. Collage of five homes on the tour. Photos by John Drake. It all starts with their “scout,” Nanci Killingsworth, a board member, who has a way with people, and selects the best lineup of homes, Bob said. Oftentimes, she walks her dogs past homes of interest, and then talks to the homeowners about being on the tour. Yet, the outside often doesn’t tell the entire story. For example, one of the modern homes on the tour, located on Forest Knoll, is simple on the outside, yet inside, it’s structurally and decoratively impressive. The same homeowner designed a bathroom around her tub, which looks more like a sculpture, Bob said. Weeks before the event, volunteers from the Idyllwild Area Historical Society, talked to the homeowners to find out the all of the unique details. Then they train their docents, five stationed at every home, to speak with authority about them. Some of the things they’ll mention about the 1930s cabin on Cedar Street is that it was the home of former Idyllwild Postmasters George and Sara Hannahs. The IAHS has hosted a home tour for the past 11 years, featuring 55 unique houses. The Hannahs came to Idyllwild in 1889 and built “Camp Idyllwilde,” Bob explained. It was around the time of the Sherman lumber barons. 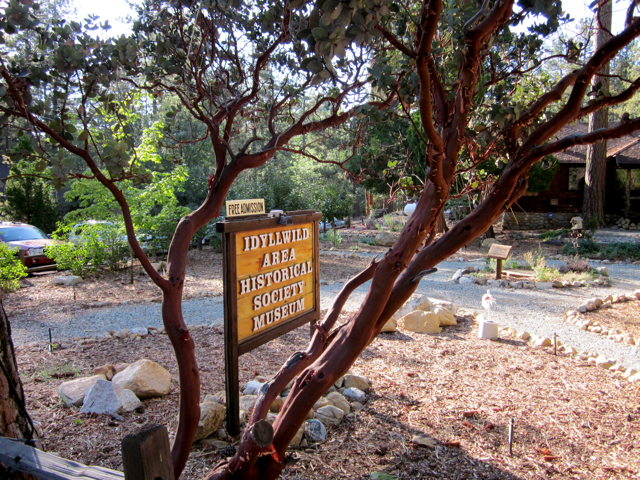 “Idyllwild was spelled a little different back then,” he said. After awhile, they sold the camp and started a store at the bridge crossing (which is now the opening to the Idyllwild Arts Academy). They sold goods to campers coming up the road from Hemet. George named the area “Renetta,” after his son, and it became the first postmaster. However, when it was clear that a sanitarium and hotel would be forthcoming, George gave up the business. Later, in 1901, George opened another post office (near where the Idyllwild Fire Station is now) and renamed it “Idyllwild,” and served as its postmaster off and on until 1937. The 1930s classic cabin was built when Sara retired. It has two bedrooms and a nice porch. It’s as authentic as it was back then with some tiny remodeling done to the kitchen, Bob said. It also has some pocket windows that slide sideways into the wall, and a river rock fireplace. The last house on the left on Double View by Inspiration Point, looks like a two-story San Francisco house from the outside, but has incredible views. “You can see as far as the ocean,” Bob said. He expects about 400 people to attend the home tour on Saturday, Sept. 17, from 10 a.m. to 4 p.m. The forecast for Idyllwild that day will be mild temperatures in the mid-70s. There will be local musicians playing at every home, with refreshments and artists on the grounds at the historical society. Shirl Reid is directing the Home Tour this year, assisted by Carolyn Hall and Charlotte Groty. All are members of the IAHS Board of Directors. Tickets are $20, and proceeds go to the general fund for the Idyllwild Area Historical Society, to help preserve and share our San Jacinto history. For more information, contact Carolyn Hall at (951) 317-4613. Copyright 2100 Idyllwild Me. All rights reserved.